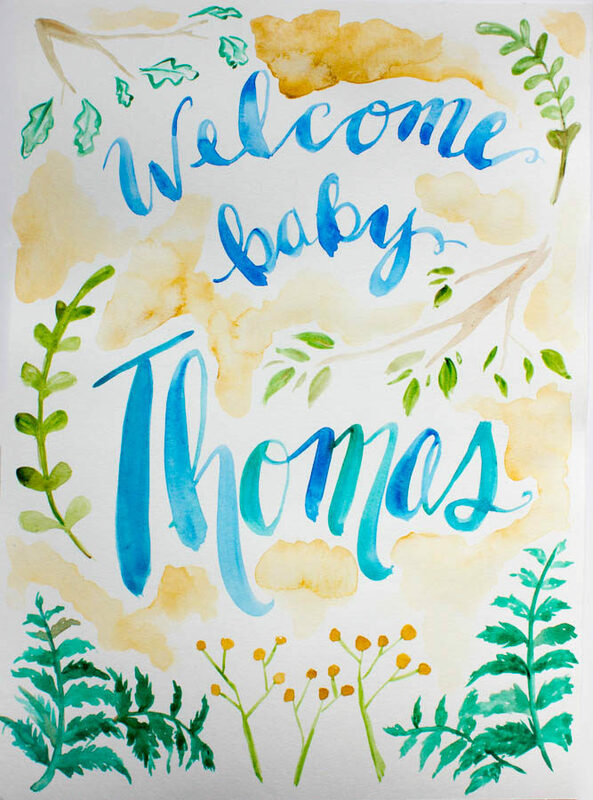 How does one bless a friend who is welcoming her third baby in as many years and is in need of an extra dose of encouragement and love as her induction date approaches? 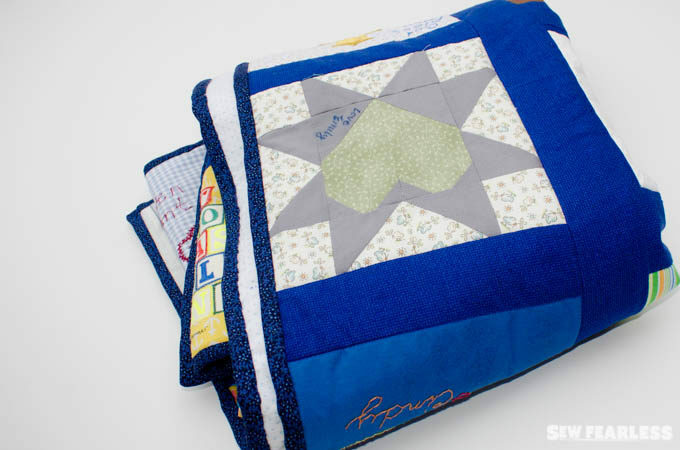 Well, if that friend is also your comrade-in-arms for promoting the love of sewing in the local community, you surprise her with a baby quilt. 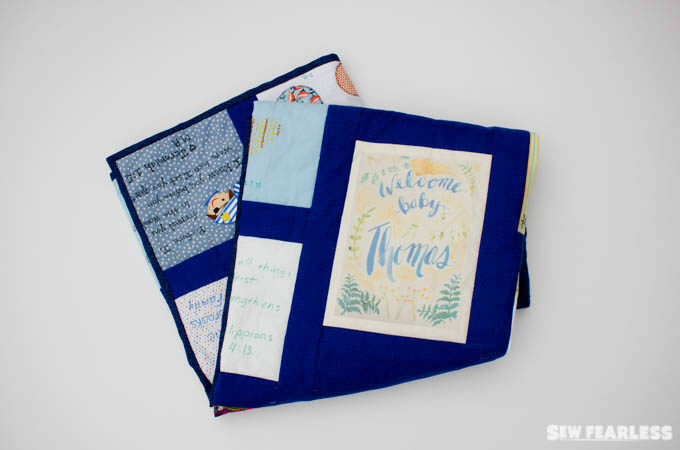 And if this friend also happens to be a generous and bighearted person, there are dozens of women who wish to shower her with well-wishes and love too, and that baby quilt becomes a group-made project. 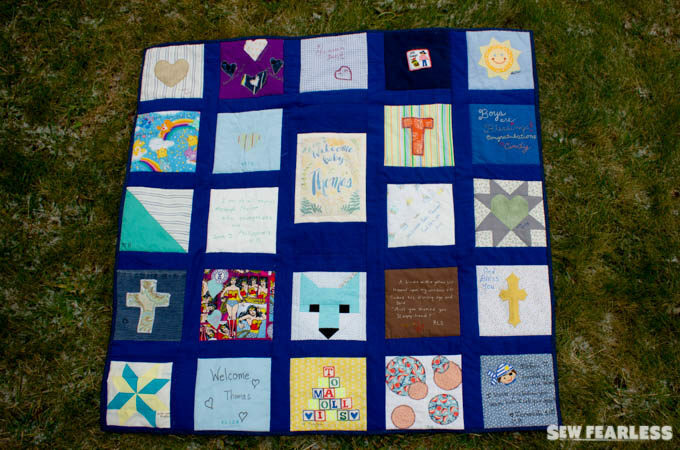 Christina is such a friend, and the quilt we made for her is probably one of the most heartfelt gifts I have had the pleasure of sewing. I hope others give this sort of baby shower a try. Benefit from your friends talents and skills. A group of friends and I planned and threw Christina a last-minute baby shower/quilting bee right before her due date. I attribute the success of the party and project to how we worked together. It was so great to be able to put all our gifts and strengths to use. For example, the center block is a fabric printed with an original watercolor by our friend Rachel who owns South Farthing Studio. My friend Emily and I shared the work of turning the blocks into a crib sized quilt, and our friend Chrissy brought refreshments that catered to our guest of honor’s dietary needs. Choose a single block size, and communicate that to the guests. We chose a block size, 8 inches square, that would generate a crib-sized quilt based on the number of friends that would participate. 8 inches was a great size and if you don’t have enough blocks you can always fill in with blank squares. Don’t worry too much about color harmony or imperfectly cut blocks. We found that the sashing helped unify the blocks and also made it easy to enlarge the blocks that were not cut to the correct size. Make the block-making a social event. If we had planned this project farther out, I think more people would have created the blocks at home. However, this was planned about a week in advance. While we encouraged people to make the blocks ahead of time, we arranged the party around the making of the blocks. I’m glad it turned out that way. 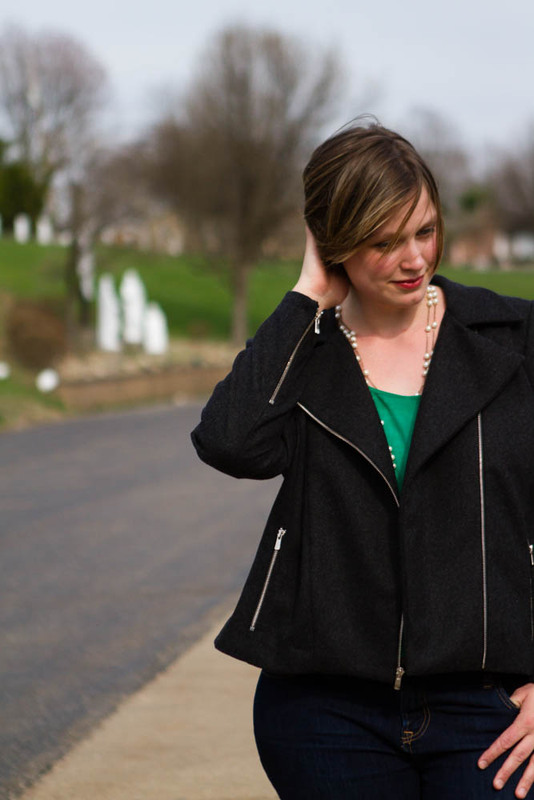 Help those who are intimidated by sewing. We invited a large number of non-sewists to celebrate our friend with us. We encouraged them to come to the baby shower empty-handed if they preferred, and had supplies waiting for them to use. We had pre-cut blocks, scrap fabric, fabric markers, stamps, and embroidery floss on hand. As you can see, fabric markers and hand-sewn appliqué where the methods of choice for most of the guests. Make quilting bees a thing again. We had so much fun with this project. There is nothing more beautiful than a group of women banding together to support another woman. I am grateful to have been a part of it. I am glad to have you here and happy to have you share my posts and ideas with your friends. However, please respect my content and do not repost it, except for maybe 1 or 2 photos as a teaser. If you do use my photo, give credit to Sew Fearless and link to the original blog post. Please do not use photos of my children.